I have two demands today. 1. It’s Erf Day so go do something nice for mother Gaia! Or make a commitment to do something nice all year. I’m vowing to ride my scooter to work most days as soon as it warms up. 2. Check out a new album from one of my favorite bands, Alaska in Winter. Space Eagle is definitely still AIW but with Tron-esque deliciousness sprinkled all over it. I purchased this cassette tape directly from their myspace page and will be getting a poster with the same amazing graphic which I fully intend to hang in my office at work. As if my Octolope print wasn’t enough. The album is also available in various places in MP3 format. How can you resist something with a description like this (from the band)? 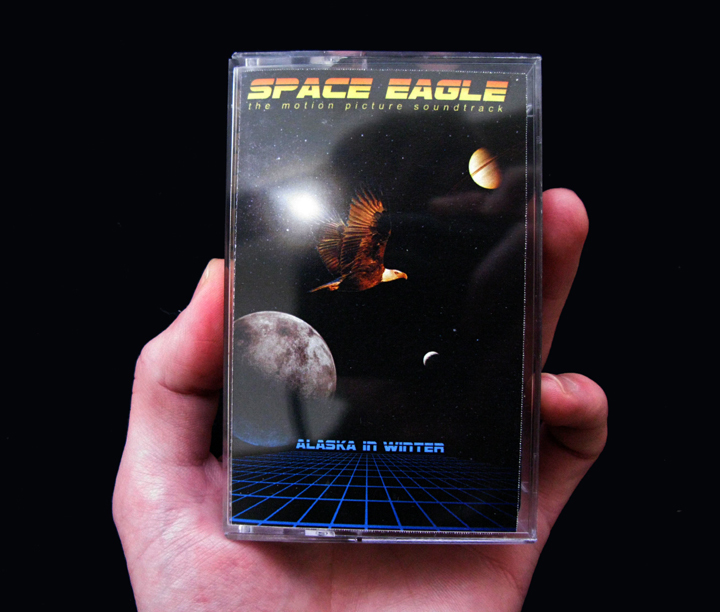 Alaska in Winter has finally finished Space Eagle [the motion picture soundtrack] with nothing but synthesizers and lasers- a musical story intended for the film, “Space Eagle”, which is due to be released winter of 1986. This entry was posted in Music and tagged Alaska in Winter, Earth Day, Music, Space Eagle. Bookmark the permalink. If we don’t love the Earth then Alaska in Winter won’t even be cold.